High-minded rhetoric aside, Canadian foreign policy is largely designed to serve hegemonic Canadian corporate interests abroad. To bring Canada closer to the status of a “peacekeeper” or “honest broker,” here are some specific policies that the peace and social justice movement should pursue. 1. Immediately withdraw Canada from NATO. If there was ever any justification for this alliance “to combat the Soviet menace,” two decades after the Cold War it no longer exists. 2. Re-evaluate the North American Aerospace Defense Command (NORAD). Ottawa should begin to evaluate whether its numerous military arrangements with Washington, including NORAD, are necessary. As much as possible Canada should de-link itself from a U.S. military apparatus responsible for untold human suffering. 3. Drastically reduce the size of the Canadian Armed Forces. Let’s start with a 10 per cent reduction in the military budget each year for the next five years. A Rideau Institute study released in 2008 found that 52 per cent of Canadians want a reduction in military expenditures. Of those polled, 27 per cent wanted programs to continue as planned and only 11 per cent believed in greater military spending (10 per cent had no opinion). The truth, unpalatable as it may be to some, is that there is only one nation on earth that could realistically invade Canada and that is the United States. 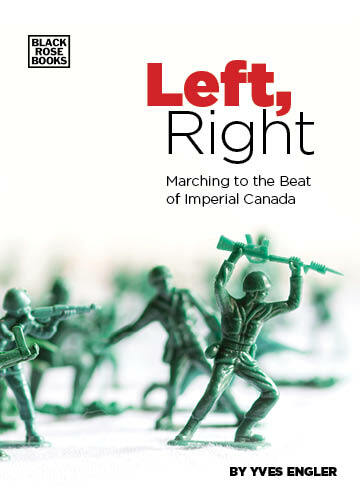 This is not an argument for a military policy that views our neighbour to the south as a threat, but rather a strong reason for Canada to follow an independent, neutral foreign policy path that works for world peace and justice for all. In the unlikely event that our country ever faced a military threat, our best defence would be widespread respect for international law and the support of millions of people around the world who know Canada is not their enemy. 4. Proclaim that the Canadian Armed Forces will only be used abroad under a UN mandate supported by two-thirds of the 192-member General Assembly, not the Security Council. Numerous surveys show the vast majority of Canadians support real peacekeeping as the primary goal of our military. 5. Support elected governments and truly democratic movements. Support for democratic structures and movements must be real, not a cover for advancing Canada’s financial and strategic interests abroad. This means strengthening the capacity of other governments to provide the same sorts of things we expect from our own: education, health care and other public services. In the name of avoiding corruption, much “aid” is delivered through non-governmental organizations. But rather than supporting private charity, Canadian aid should be targeted at strengthening democratic governments’ ability to deliver services. People become disillusioned with democracy when it does not deliver basic and necessary social services. The best antidote to extremism is responsive, democratic governance that meets the needs of the people and demonstrates its legitimacy on a daily basis. 6. Funnel foreign aid to where it’s needed most, not where Canadian investments are thickest. Aid should not be tied to buying Canadian commodities or be used as a subsidy to Canadian companies and investors. Improving public education, and ensuring it is free for all, is one of the best ways to help break the poverty cycle. Let’s help poor countries build good public education systems. Canadian prosperity was built on public utilities that provided safe water, sewage, electricity and communication systems. Let’s help poor countries do the same. Public health systems, including free health care for all, were also a key element in Canada’s development. This too should be a prime objective of Canadian aid. The Golden Rule, versions of which exist in every culture and religion, is also apt in international affairs. Do unto others as you would have them do unto you. In other words, before we send aid to another country we should ask ourselves: is what we are paying for, and the manner in which we are doing it, something that we would want to see in Canada? We cannot allow ourselves to do things in the international arena that would draw a penalty on our home ice. This article first appeared in the May/June 2010 of Briarpatch Magazine.